Looking for some math fun? Try dot sticker addition! 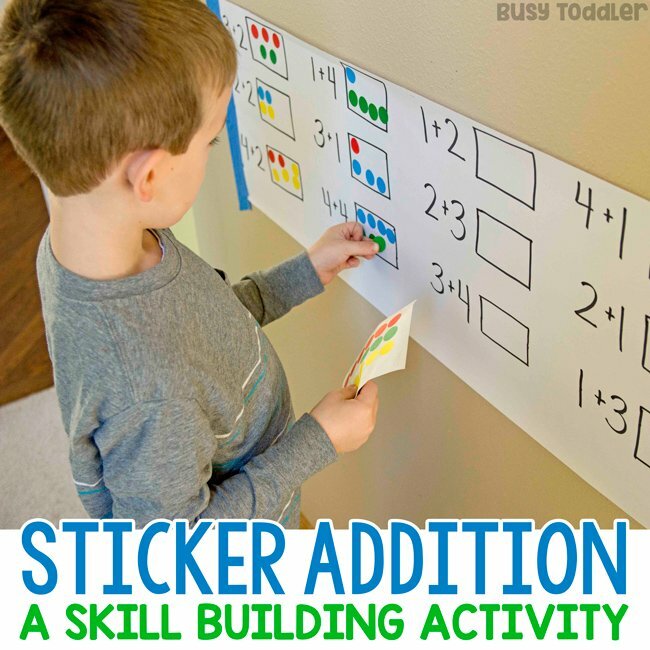 “Busy Big Kids” look out – here comes dot sticker addition to help you with your conceptual understanding. Conceptual WHAT? I know…fancy words from a fancy gal. 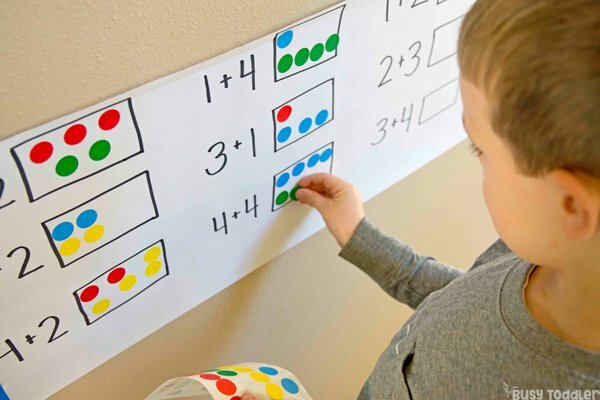 Conceptual understanding is THE KEY to math proficiency and we can start building this foundation early. RELATED: Interesting in teaching your preschooler at home? Check out my Playing Preschool program. 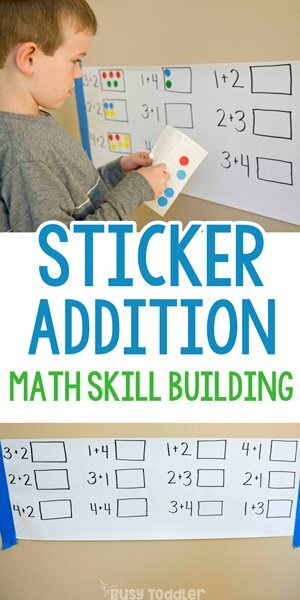 How can dot stickers help with addition? Dot stickers become a concrete representation of something very very abstract. 2 + 4…what does that mean? It’s an abstract concept. 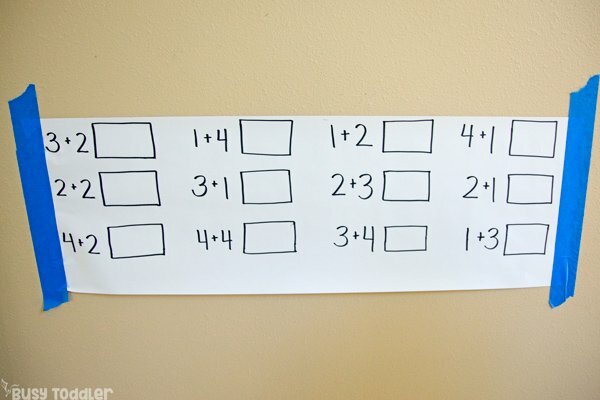 If we allow kids to merely memorize that 2 and 4 is 6, then they never truly grasp the concept of addition. Instead, we can use dot stickers as the concrete representation. 2 dot stickers and 4 dot stickers make 6 dot stickers. RELATED: What else can you learn with dot stickers? SO MUCH!!! But what is conceptual understanding? In a nut shell, it’s making sure our kids understand the WHY not just the HOW. It’s making sure they grasp the full concept, not just memorizing the process. It’s helping them develop real knowledge, rather than surface level understanding. RELATED: Check out this paper plate addition game – another great one for understanding addition. 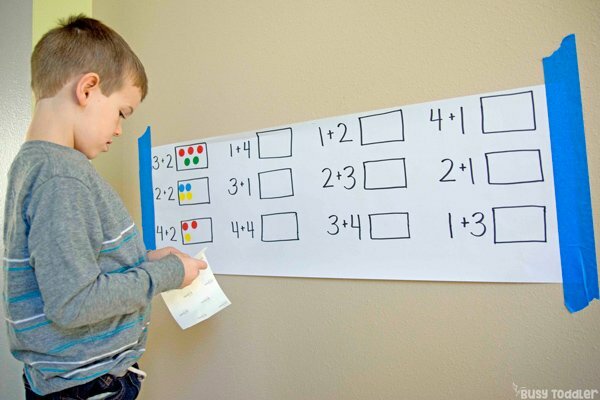 Instead of having my 5.5-year-old complete math problems on a worksheet (which is my most disliked form of learning), I wrote his problems on butcher paper. Below each problem, I left a box for him to place his dot stickers. I had him use a different color each addend. I did this to help him visualize exactly how the sum was created. Of course, he doesn’t know words like addend or sum yet, but I use them often as we work and I know he’ll pick it up as he learns more and more. Why is this better than a worksheet? For starters, it’s more age appropriate for him to NOT be working with a pencil and it takes number formation out of the equation. 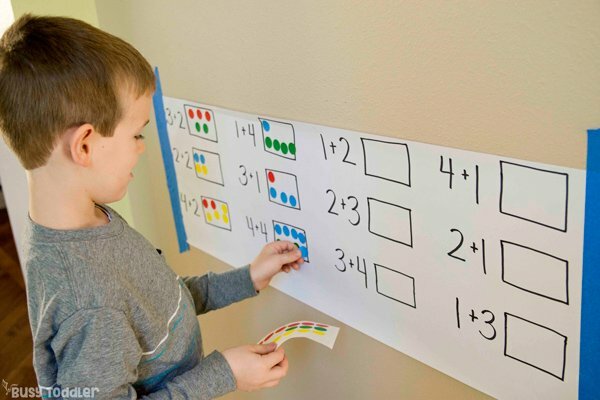 He’s upright and working on a vertical surface which is GREAT for kids. 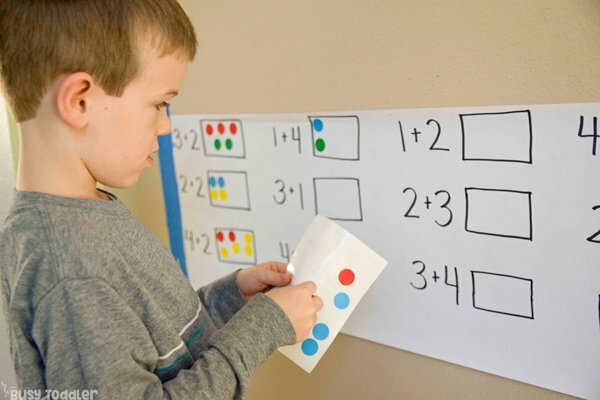 He’s also working his fine motor skills by having to pinch the dot stickers off the paper. This just requires more whole-body work than a worksheet and I love it for that. I want my kids moving with their learning. Remember to focus on conceptual understanding first! Get them up and learning and digging in deep. Make sure they can understand the “why” long before the “how”. Dot sticker addition was such a hit! My son loved this activity and asks for it often now. It’s so easy to set up that I don’t mind taking 5 minutes to make him a sheet. After all, who doesn’t love a kid asking to learn even more? 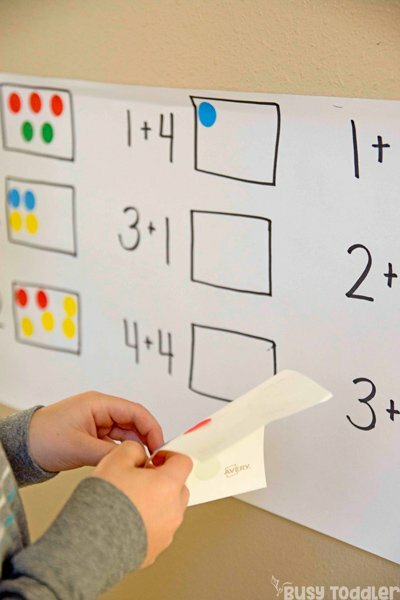 Would your kids love dot sticker addition?